Setting the stage for the holidays. 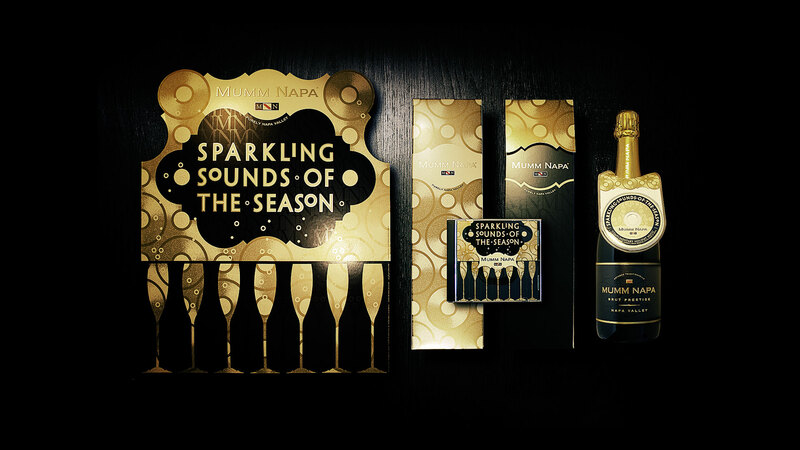 “Sparkling Sounds of the Season” set the stage for Mumm Napa’s festive year-end celebrations. A branded music strategy was devised in conjunction with Rock River, resulting in an intimate 3-inch CD of loungy, remixed Holiday classics. The shape of the disc paired nicely with the natural bubbly nature of their sparkling wines, producing an eye catching campaign that exudes effervescence.